As online shopping continues to trump high-street stores, Google recently announced that it’s trialling local Product Listing Ads in Google Shopping. This got paid search manager Alison Booth thinking – is this more evidence of Google throwing scraps to local shops, or is the search giant sending out an altogether different message? In the battle of eCommerce versus bricks and mortar stores, online is clearly coming out on top. For some, eCommerce is seen as something like a shiny Godzilla-sized robot, which goes around crushing family businesses, stealing customers and generally being huge, new and scary. Stretched metaphor? Maybe. But recession or not, there’s little doubt online shopping has significantly contributed to the decline of the high street. And Google Shopping, which brings a frankly mind-boggling product choice to millions, is one of the biggest ‘bad guys’ in this cops and robbers scenario. Of course, it’s not as black and white as this. 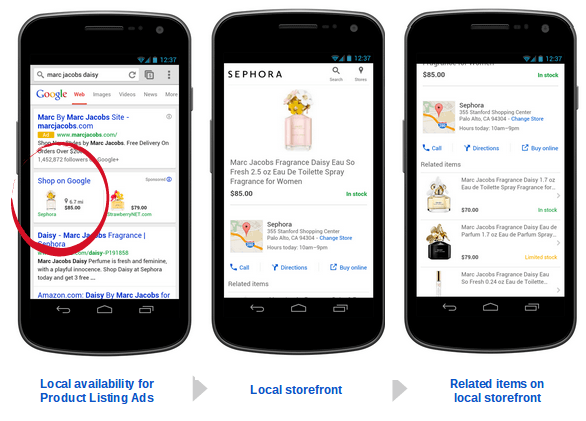 And things are getting greyer by the minute – as Google is now trialling local availability for Product Listing Ads. These new local ads look almost identical to the standard ads, with big pictures and prominent pricing information. However, there’s one key difference – you can’t order the items there and then. Instead, you follow its directions to the retailer’s nearest store, or click to call and order it by phone. On first glance, it looks like Google’s giving the high street a helping hand. This isn’t the first time we’ve covered this idea. 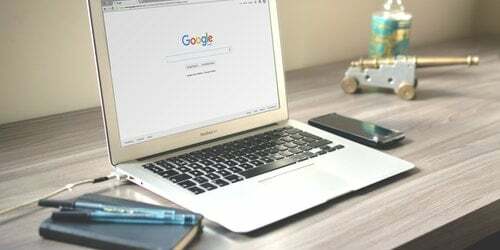 When Google launched its PPC offer extensions (which let paid search managers provide online offers which are redeemable in retail stores), we wondered whether Google was throwing the high street a lifeline. And indeed, this new trial seems like a direct attempt to get people out of the house and putting money in local pockets. However, the way Google’s handling local reach with Product Listing Ads could end up being more interesting. The crucial difference between the new local ads and PPC offer extensions is that local Product Listing Ads could potentially be utilised by local retailers without a web presence. Offer extensions, on the other hand, are very much there to support existing campaigns – there has to be an online foundation in place before they can work. This means local Product Listing Ads could put local retailers on a (nearly) equal footing with the big eCommerce brands. Is the future high street shaped? And it’s clear Google values (or aspires to) the tangibility of high street shopping – picking up, trying out, and putting on. After all, with their huge product images and prominent product information, Product Listing Ads could be seen as an attempt to recreate the high street experience online. So perhaps this isn’t a case of Google helping out the high street after all – perhaps it’s about the homogenisation of online and offline. Perhaps these recent developments aren’t about Google throwing scraps to the traditional retailers, but are instead evidence of the search giant encouraging smaller shops to enter the digital sphere. Or, in short, it’s bringing the high street to Google. 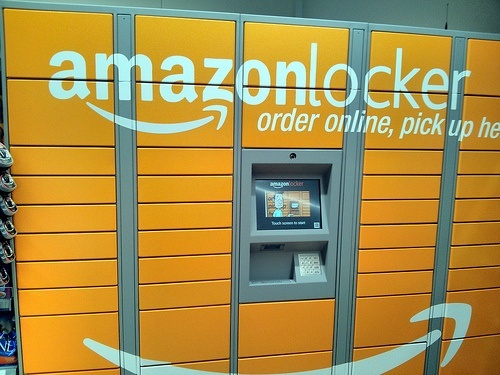 If that sounds far-fetched, just look at Amazon Lockers. These ‘click and collect’ points are becoming increasingly common – to the point that it doesn’t feel strange picking up your online purchases with your weekly groceries. Google says the new local Product Listing Ads will allow retailers to use Google Shopping to give their high street stores a push – so the focus, at the moment, seems firmly on eCommerce brands with high street presences. It’s very early days too. The new ads are being trialled with a few select stores in the US – but the scheme will apparently expand in “the coming months,” and there’s already a form US retailers can use to express their interest in participating. So it remains to be seen whether this will be picked up by – or even be available to – ‘the little guy’. Many shoppers now look online before even considering the high street. But physical stores are finding new, innovative ways to compete with digital every day. Local Product Listing Ads could be a good ‘way in’ for switched-on shop owners who couldn’t otherwise compete with the online giants. Of course, like any good idea, it’s not without its caveat. Product Listing Ads, local or otherwise, work on a pay per click format – so, you’ll still have to cough up if you want to compete.